Impeccable image quality with economical implementation: The Redfield Rebel binocular. Superior, fully multi-coated lenses and premium BAK4 prisms offer unrivalled brightness, resolution, and edge clarity, while the armored polycarbonate body guarantees renowned Redfield durability. The advanced, ergonomic roof prism design dramatically reduces bulk and weight, while the twist up/down eyecups ensure a perfect fit for users with and without eyeglasses. 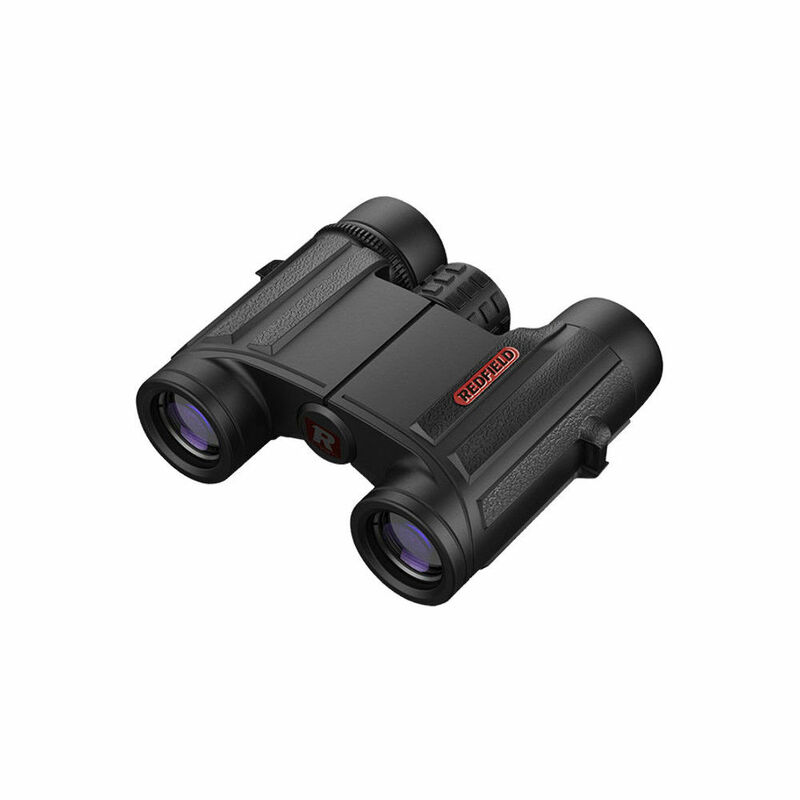 The astonishingly vibrant and adaptable 10x25mm platform is the ultimate balance of size, weight, magnification, and exit pupil for virtually any activity. From tree stands to mountain vistas, and everything in between, the waterproof and fog proof Rebel captures everything but your wallet. Includes soft case, neoprene neck strap and lens covers. Covered by the Redfield "No Excuses" Full Lifetime Warranty.